rinagar: Foodgrains and common-use products like hair oil, soaps and toothpaste as also electricity will cost less from July 1 when the GST is scheduled to be rolled out as the all-powerful GST Council on Thursday finalised tax rates for bulk of the items. While the Council fitted all but six items in 5, 12, 18 or 28 per cent tax brackets, cars will attract the top rate as also a cess in the range of 1 to 15 per cent on top of it. Small cars will be charged 1 per cent cess on top of 28 per cent tax, mid-sized and luxury cars will attract cess of 15 per cent on top of the peak rate. Aerated drinks too have been put in the 28 per cent bracket along with a cess of 12 per cent, but the rates for bidis along with gold, footwear, bidi, biscuits and agriculture equipments would be decided later. While meat, fresh vegetables, honey, jaggery, prasadam, kumkum, bindi, pappad and contraceptives have been exempt from GST levy, items like pizza bread, sevaiya, condensed milk, frozen vegetables will attract 5 per cent levy, as per the items list put on CBEC website late in night. The Goods and Services Tax (GST) on coal has been brought down to 5 per cent from the current tax incidence of 11.69 per cent, thereby making electricity generation cheaper. Common use products like hair oil, soaps and toothpaste will be charged with a single national sales tax or GST of 18 per cent instead of present 22-24 per cent tax incidence through a combination of central and state government levies. ACs and refrigerators will fall in the 28 per cent tax slab while life-saving drugs have been kept at 5 per cent rate. All capital goods and all industrial intermediaries would attract 18 per cent tax instead of 28 per cent. Milk and curd will continue to be exempt from taxation when the GST replaced current indirect taxes. ‘Mithai’ or sweets will attract 5 per cent levy. While frozen meat will attract a GST of 12 per cent, Ayurvedic or homeopathy medicines, agarbatti, umbrella, electric vehicles and mobile phone manufacturing will be taxed at 12 per cent. Pastries and cakes, pasta, ice cream and soups, instant food mixes, betel nut, vinegar and sharbat will attract an 18 per cent tax, while the highest tax of 28 per cent will be levied on chewing gum, chocolates, custard powder and waffles containing chocolate. 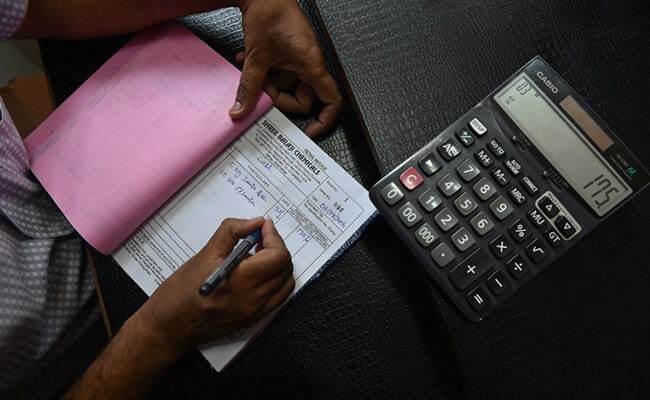 The GST Council, which also finalised 7 set of rules for the new indirect tax regime in Thursday’s meeting, will meet tomorrow to finalise tax rates on service. Two set of rules on transition provision and returns have been referred to legal committee. The GST rates for all but six items were finalised at the first day of the two-day meeting here of the GST Council, headed by Union Finance Minister Arun Jaitley and comprising state representatives. Prices of foodgrains, especially wheat and rice, will come down as they will be exempt from the GST. Currently, some states levy Value Added Tax (VAT) on them. “We have finalised tax rates for a majority of items as well as the exempt list (at today’s meeting),” Arun Jaitley told reporters here. Out of the 1,211 items, the GST rate for all but six was decided on the first day, he said. “Rates have been finalised for the rest,” he said, adding GST for packaged food items is to be finalised later. “(With) the standard rate items of 12.5 per cent and 15 per cent, plus the cascading effect of local taxes, the tax rate was going up to 30-31 per cent. These 30-31 per cent taxes… have all been brought down to 28 per cent. “Of these, some are items to be used by common man soap, oil — that has been brought down to 18 per cent. So there will be a substantial reduction as far as those items are concerned. We have kept one criteria in mind that the overall impact is not inflation, in fact it brings down the costs,” Mr Jaitley added. Revenue Secretary Hasmukh Adhia said 7 per cent of the items fall under the exempt list while 14 per cent have been put in the lowest tax bracket of 5 per cent. Another 17 per cent items are in 12 per cent tax bracket, 43 per cent in 18 per cent tax slab and only 19 per cent of goods fall in the top tax bracket of 28 per cent. As many as 81 per cent of the items will attract 18 per cent or less GST. On gold, states demanded a 4 per cent tax even though the rate is not among the 5, 12, 18 and 28 per cent approved bands. Mr Jaitley said there will be no inflationary impact as most of the rates which are at 31 per cent have been brought down to 28 per cent. Coal will attract the GST of 5 per cent as against the current tax incidence of 11.69 per cent. “Cereals will be in exempt list. But what is to be done with packaged and branded food that has to be separately decided. We are yet to make a decision on that,” he said. “Of several commodities, we have consciously brought down the tax. In the overall basket there would be a reduction, but we are banking on the hope that because of a more efficient system, evasion would be checked and tax buoyancy would go up. That despite reduction the revenue neutrality and tax buoyancy thereafter would be maintained,” he added.